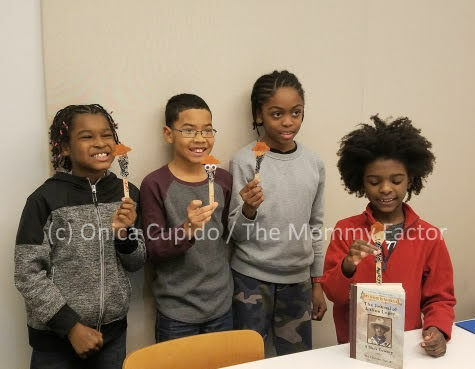 In connection with their recent launch Mockingbird hosted an event to introduce their company and customizable stroller line to parents and families. Since it's been a while when I had to push a stroller, I went to the event to get a first look. Canopy – Adjustable, weather-resistant canopy that allows for liquid to bead off so it won’t seep through or stain. The canopy also has a see-through peekaboo window, a zippered mesh section, and a full-coverage sunshade (attachable by magnets) to keep the seat area shaded and cool. Storage – Extra large basket under the seat with an inner pocket, detachable front cover, and additional hidden pocket behind the seat. Frame – One-hand fold, with or without seat attached (i.e., automatically locks and stands upright when folded). The advanced suspension system provides stability and smoother strolling, and the handlebars rotate to accommodate parents of different heights. Wheels – Guaranteed never to go flat, the foam wheels feature shock absorption, a swivel lock equipped for all terrains, and a simple one-step footbrake. Seat – A reversible seat to switch between forward-facing and parent-facing positions, a connected five-point harness to make getting the child in and out seamless, and durable nylon material for easy cleanup. At first glance you can see that the Mockingbird stroller is stylish, with customizable color canopy and leatherette accents. The stroller also has a sturdy frame and balanced weight for it's size. First glace is impressive. But as a NYC parent, I needed to know that this stroller can both look good and hold up to usage. So I spoke with Eric Osman, Mockingbird Founder and CEO to learn what makes this stroller a good fit for families. “I was inspired to create Mockingbird when my sister was pregnant – I saw how parents are forced to choose between cheaper products that don’t suit their lifestyle, and confusingly expensive products that break the bank. With Mockingbird, we’re providing them (parents) with high quality products at prices that make more sense.” says Eric. To design the company’s namesake stroller, Eric Osman worked closely with safety compliance experts to develop a testing program that exceeds government-regulated safety standards. This includes various tests that are not on the U.S. list of requirements such as the Curb Test, which simulates forcefully bumping the stroller against a curb 10,000 times. Mockingbird’s products are both ASTM-certified and JPMA-certified, and have safety-focused features such as light-reflective lining. Unlike traditional retailers, Mockingbird offers a 30-day at-home trial, encouraging families to use their products in real life and make sure they’re right for their lifestyle. When Warner Bros. Home Entertainment contacted me about interviewing Sophia Lillis for the home release of "Nancy Drew And The Hidden Staircase" on digital and Blu-ray Combo Pack, I was ready! Sophia Lillis did an amazing job bring the Nancy Drew character into modern life and I wanted to hear her talk ALL.ABOUT.IT. Note: I was invited as media to the movie screening and cast interview. However any personal views expressed are always 100% my own. During the call, I could hear and feel Sophia Lillis excitement about this role. She really had fun as Nancy Drew, so I asked her about this, along with other questions. The film has funny moments. What’s your favorite funny moment either on screen or behind the scenes? Sophia Lillis: Not too many people know that the well was really shallow. So Laura (who plays Helen), and the DP, and a couple other camera and sound people were all squished in this tiny space together. It was really funny. 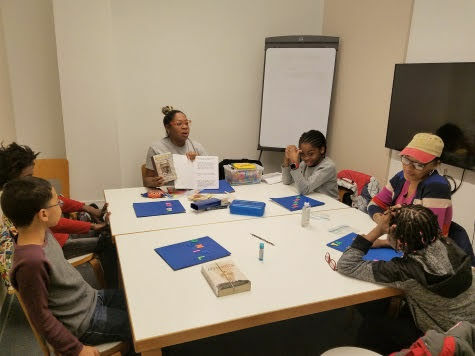 While Nancy has fun times with her friends, they also helped her solve mysteries and support her emotional as she adjusted to being in new school and city. I thought this was well done and loved seeing female friendship being "good" on screen. So I asked Sophia about friendship. What are 3 tips for being a good friend like Nancy and her friends in the film? Sophia Lillis: I personally have very close friend, while it's not a big group, very ver close to each other and try to meet up as much as we can. I think that's what's most important. To feel really comfortable with your friends. You dont have to think I should act this or that way because they would like that. If you just be yourself around people, then you'll find certain people who will like you just the way you are. Don’t try to be a part of a group, where you can’t be yourself. Always find friends who accept you as you are! After I heard about the project, I started reading the Nancy Drew books. I'm slowly making my way through. I really do love them. One of my favorite is "The Mystery at Lilac Inn". While the previous books were so full of mysteries, this one gets so abstract but I really started to love it. Yes, she is more of a modernized version so the younger kids to relate to her more. Physically, she uses technology more, she rides a skate board, and she's so independent. While she's like this in the book, I noticed that in the books, she's a bit to independent in a way. She spends nights out without contacting her parents and does whatever she wants. Sometimes it's kinda of unrealistic. You have to contact your dad at least once, while your out solving mysteries and the whole deal. So you see more of the relationship with her dad in the film, you see more of her contacting him and telling him what's she's doing. It's more realistic about how kids really act. I really liked having this character that was so light hearted. I could put a lot of myself in that character. I'm very light hearted. I talk, I smile a lot and it was really fun putting my little bit of humor into Nancy Drew. That was a lot of fun. It was great talking with Sophia and watching her bring Nancy Drew to life. You'll enjoy watching her in Nancy Drew and the Hidden Staircase now release on digital (SRP:$19.99) and on Blu-ray Combo Pack (SRP:$28.98) & DVD (SRP:$19.98) from Warner Bros. Home Entertainment. Warner Bros., Ellen DeGeneres’ A Very Good Production and Red 56 present Nancy Drew and the Hidden Staircase, an all-new feature film. The film provides a new origin story for the 21st Century, while staying true to the spirit of the original novels. 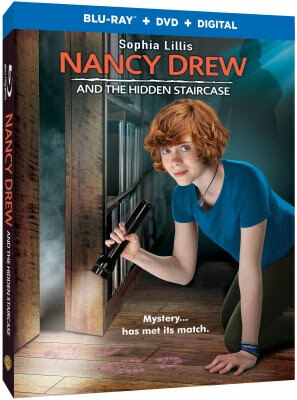 Nancy Drew and the Hidden Staircase focuses on Nancy Drew (Sophia Lillis, breakout star of It), a smart high schooler with a penchant for keen observation and deduction, who stumbles upon the haunting of a local home. A bit of an outsider struggling to fit into her new surroundings, Nancy and her pals set out to solve the mystery, make new friends and establish their place in the community. The film stars Sophia Lillis (IT and “Sharp Objects”), Sam Trammell (“True Blood” and “This is Us”), and Linda Lavin (“The Good Wife” and “Alice”) and follows Nancy Drew in her new town, making new friends and on a mission to solve the case! Nancy Drew And The Hidden Staircase is produced by A Very Good Production and A Red 56 Productions. Executive Produced by Ellen DeGeneres and Wendy Williams (Free Ride), with Jeff Kleeman (The Man From U.N.C.L.E.) and Chip DiggIns (A Walk In The Woods) serving as producers and Rachel Abarbanell (“Splitting Up Together”) as Co-Producer. Katt Shea (Poison Ivy) directed from the script written by Nina Fiore & John Herrera (“The Handmaids Tale”). Storm Boy, which opened in theaters April 5, 2019, tells a sweet story of a young boy who rescued baby pelicans, which leads to changes within himself and in the community he lives. 'Storm Boy' is not your not typical boy saves animal story-line. While there are fun moments in the movie, overall the film's theme is a bit on the serious side. There's turmoil with the family and the the community. While the pelicans don't "save" anyone from this turmoil, having a focus on them both forces the main characters to resolve family issues and work together. This naturally leads to them affecting change within the community. I think that's the best message of the movie, work together to make change happen. Besides the message, the scenery is lovely. Who doesn't like beach life? And the pelicans themselves are so fun. Watching them learn how to be "pelicans" was endearing. Who knew pelicans could be so sweet. Since I've started having a soft spot for the pelicans, I'm honored to share that I've partnered with the film and joined the "Adopt a Pelican" program with a donated being made on my behalf to World Animal Foundation. If you'd like to learn more about pelicans, then download the "Storm Boy Education Guide + Activity Sheets" to use with your family before seeing the film. Over all this good movie for a family, especially if the family is community and eco-friendly. Michael 'Storm Boy' Kingley (Geoffrey Rush) has grown up to be a successful retired businessman and grandfather. When Kingley starts to see images from his past that he can't explain, he is forced to remember his long-forgotten childhood, growing up on an isolated coastline with his father (Jai Courtney). He recounts to his granddaughter the story of how, as a boy (Finn Little), he rescued and raised an extraordinary orphaned pelican, Mr.Percival. Their remarkable adventures and very special bond has a profound effect on all their lives. As the weather gets warmer, a great family activity is kite flying. 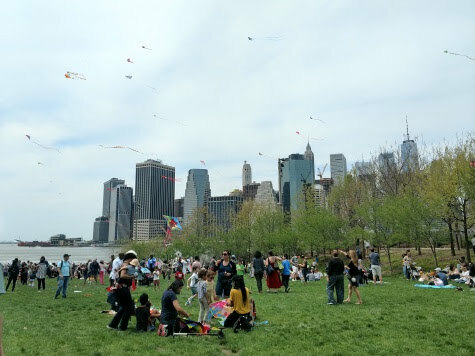 To kick off summer, we took some time to fly a kite during Brooklyn Bridge Park Conservancy "Lift Off: A Waterfront Kite Festival" and had such an amazing time. Note: I was invited as media for review purpose. However any personal views expressed are always 100% my own. 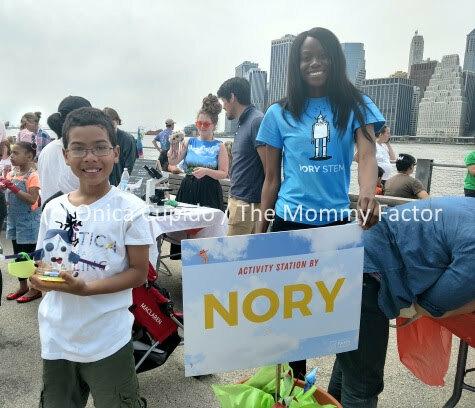 To get started, we joined other families and individuals at The Pier 1 Harbor View Lawn in Brooklyn Bridge Park for a day filled with special activities exploring the science of flight. 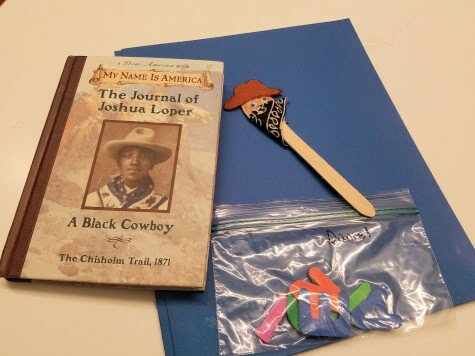 We visited the different stations for fun projects including making our own lunch bag kite, help collecting air samples of different organisms, and making a rocket, just to name a few. 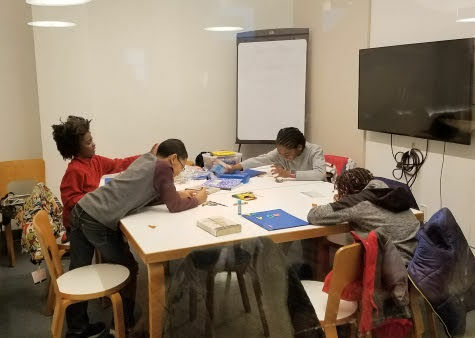 STEM Kids NYC, an education company that bridges the gap between the current curriculum in schools and the immediate need for schools to prepare students for future STEM opportunities. 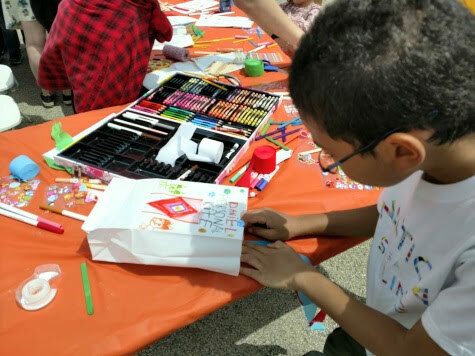 At their station, we decorated a basic lunch bag and turn it into a kite that we could fly at the festival. Genspace, a nonprofit organization dedicated to promoting science literacy through public access to biotechnology. 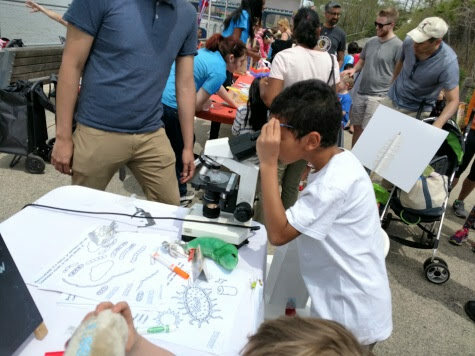 At their station we helped sample the air's environment using petri dishes attached to kites in order to find out what inhabits the air that we breathe. 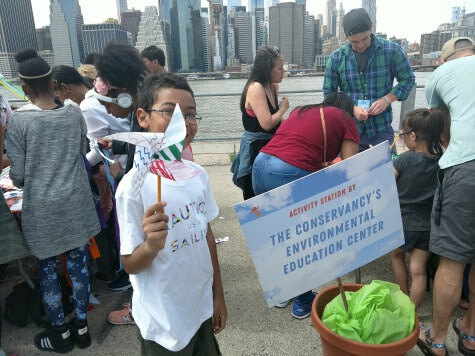 The Brooklyn Bridge Park Conservancy’s own Environmental Education Center hosted a DIY pinwheel station where you can build and decorate pinwheels to see the wind in action. 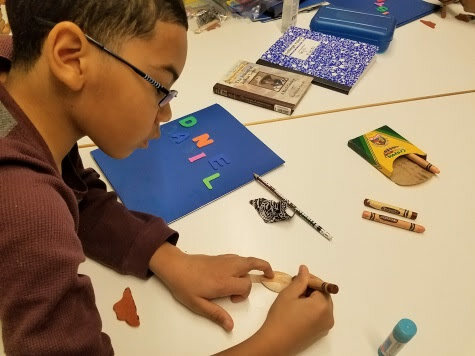 Nory made air kites to teach how circulating air can make objects move, along with DIY motorized contraptions that are relevant to flight/moving air, such as a robotic air propeller. Nory also showed children how to put together a simple circuit, and teach the functionality of each part of the circuit. When we finished joining in all the fun activities, we returned to kite flying. The sky was clear, the wind nice and steady, which meant an afternoon of nothing but simple kite fun. Want to take your family kite flying? It will be the first of over 500 arts, recreation, fitness and educational events taking place in the park through August offering visitors of all ages something to enjoy in the park this spring and summer season. 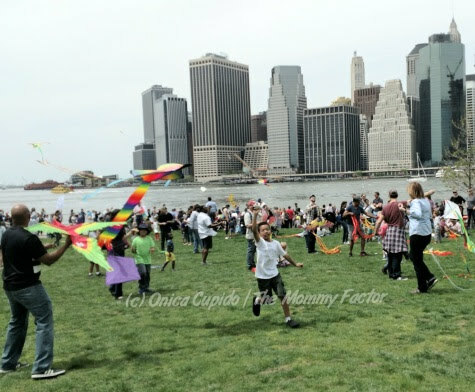 Lift Off: A Waterfront Kite Festival” will include special activities exploring the science of flight. 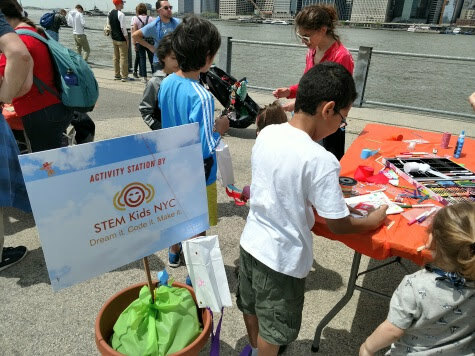 The event will emphasize S.T.E.A.M (science, technology, engineering, arts, and mathematics) concepts such as wind tunnels, robotic air propellers, and outdoor adventures. 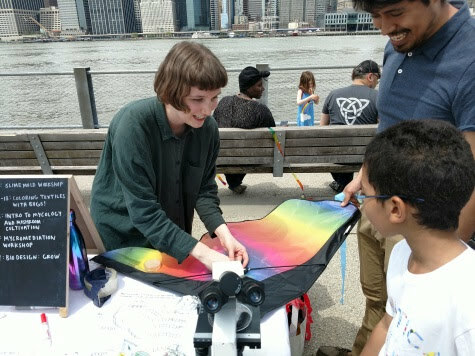 Kites will be available for purchase at the event, or participants can bring their own kites to fly on Pier 5. 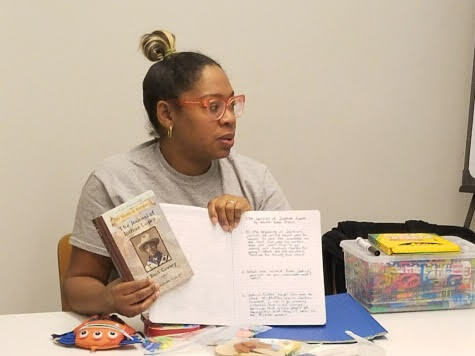 Partners this year will include NORY, STEM Kids NYC, Brooklyn Robot Foundry, Genspace, SPARK!, Private Picassos, BK Public Library, Geeks Rule, and the Brooklyn Bridge Park Conservancy’s Environmental Education Center, among others. Live music, stilt walkers, and face-painters will round out the event this year. 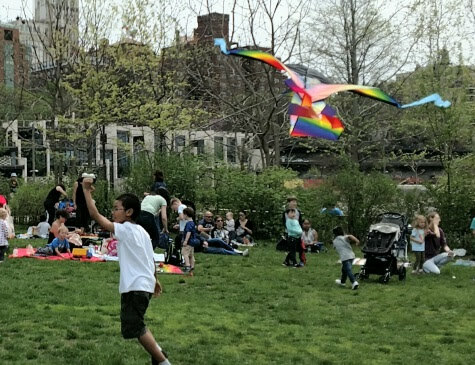 Pack a picnic and enjoy the first event of the Brooklyn Bridge Park Conservancy’s soon to be announced full event schedule.